After an explosive start to the final storyline for IDW’s Transformers comic book line with a Free Comic Book Day edition of Transformers: Unicron #0, some more changes are being planned to upcoming issues of the series. We saw how Unicron #0 joined the backstory of Rom The Space Knight to the Transformers Universe, by making Unicorn as the aggressor that destroyed Rom’s home planet. Well, now Transformers: Unicron #1 will also contain a Rom four-page backup by Chris Ryall and David Messina and an interview with Simon Furman and E.J. Su. 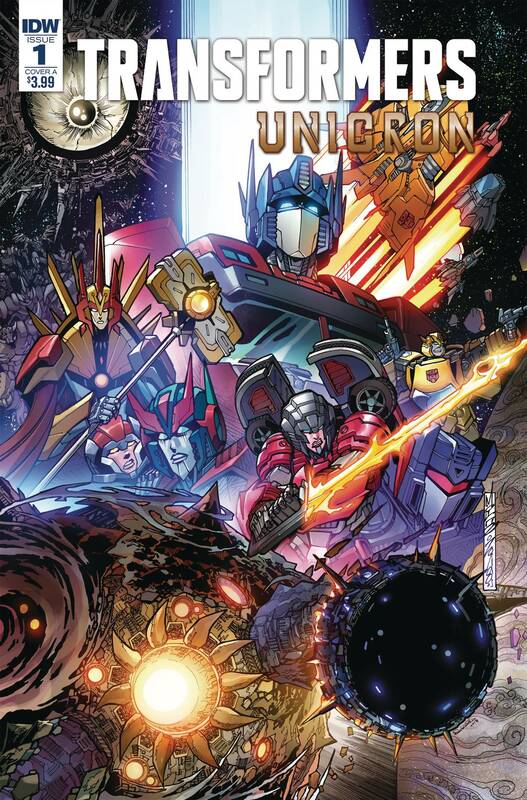 While Transformers: Unicron #2 will also contain a Micronauts four-page backup by Christos Gage and Paolo Villanelli and an interview with Nick Roche and Shane McCarthy.